This time of year is always marked by conspicuous consumption and crazy waste. From disposable Christmas decorations that degrade by December 26th to chain stores overflowing with unethically made merchandise, this season's emphasis on stuff so often detracts from the peace of mind that gentle winter days can bring into our lives. Our culture's obsession with materialism not only takes away from what matters most in life—shared experiences with the ones we love in this wild world we live in—but it's also responsible for accelerating climate change. And I sure as hell don't want the cheap, colorful knit scarves at H & M to be the reason sea levels are rising. SO not worth it. Learning to challenge conspicuous consumption doesn't mean checking out of the holiday season. If anything, it's an opportunity to really embrace the beauty way—to find sanctuary on a snowy day, to cook nourishing stews with our beloveds, to set aside an afternoon for crafting homemade teas to gift to our friends. As the rad Andrea Sanders of environmental non-profit Be Zero reminds us through her work, living with less is about infusing our belongings with meaning and our everyday with rich experiences. Each choice we make is a vote for the world we want to live in. That's why I love to gift something with a story. Whether it's mailing mugs to my family made by my friend Amelia at Two Hands Full or prepping for a backpacking trip with my bro, it's important to me to share presents that support people I adore and places that I cherish. So herewith, a gift giving guide for the sustainably-minded soul. At the botanical paradise Yore, the gift of the season is likely a tool you'd use to clean the kitchen. And that's what I love about sharing well-made, thoughtfully-designed, and long-lasting products such as Bee's Wrap with my family and friends. A lot of the time, we treat the things we use every day as if they are disposable—and they shouldn't be! If we care about the health of our planet—hell, if we care about the aesthetics of our home—it's important to invest in products with a purpose. There's no reason that the scrubber we use to clean our bathtub shouldn't be a thing of beauty and there's no reason that it should fall apart within a week. Here's to the gift of simplicity and substance! I'm never going to relinquish the joy I feel holding a heavy collection of poetry or wandering the aisles of an indie bookstore. But I also want to be mindful of the impact of new anything on our earth. That's why I love to scour secondhand bookstores for beautiful art books, cookbooks, and how-to manuals to give. It always means the world to me when a friend gives me something they made themselves. It's so special! I also think that setting aside the space to dig into a juicy DIY project is a gift you should give to yourself. 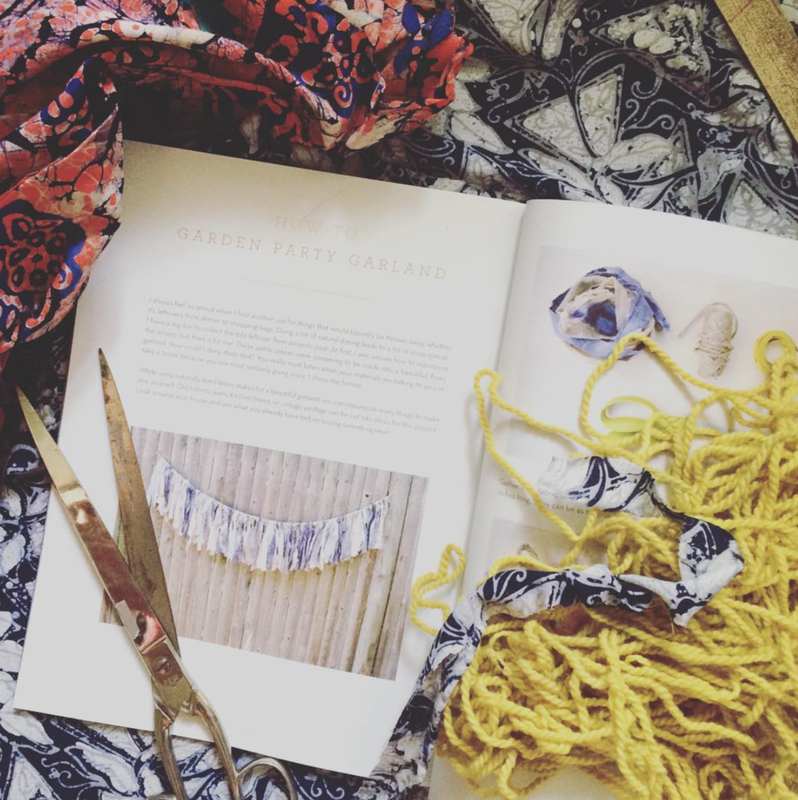 Teas, knitted cozies, bath bombs, and garlands (check out Tori Kindred's how-to in Loam Summer 2016) are just a few super simple goodies you can make by hand on a tight budget and with seasonal and/or sustainably sourced products. The very best gift you can give to someone is an experience. Find a cooking class that you can take with your sweetie or sign up you and your Mama for a tour of her favorite museum. Go hiking with someone you love and splurge on nice snacks or choose a weekend to take the train to somewhere new with your bestie.